Greyhound Crossroads - The Difference between Galgos and Greyhounds: What to expect! The Difference between Galgos and Greyhounds: What to expect! Galgos are generally quite a bit smaller than Greyhounds. The average male is 24 - 27 inches at the shoulder with an average weight of 60 - 65 lbs. An average female is 23 - 26 inches at the shoulder with an average weight of 50 - 55 lbs. Just like our Greyhounds they can be both larger or smaller than the average. Conferring with other groups relocating these precious dogs, the smallest we have heard of was 36 lbs. and the largest was 77 lbs. Galgos come in most colors and combinations of colors (like Greyhounds) and also come in smooth and rough (wire) coats. Structurally the Galgos are higher over the loins (hip area) than they are at the shoulder. They have longer heads, larger ears, and longer hooked tails. They have a flat muscular structure more conducive to endurance running (Greyhounds have very prominent rounded/bulging muscles). Their chests are not as deep and their tuck up is less extreme. They are also more narrow than Greyhounds. 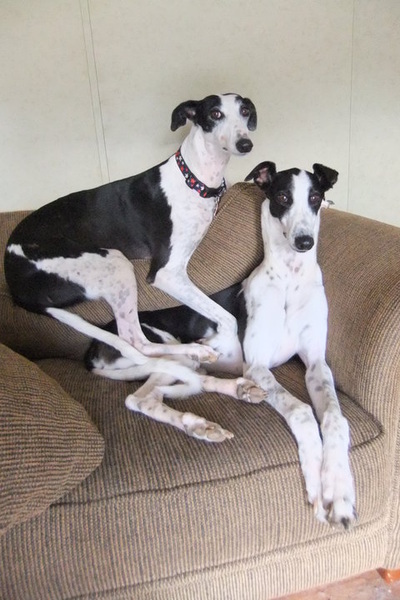 Galgos have historically been bred as endurance dogs, and Greyhounds as sprinters. This means that Galgos, unlike the average Greyhound, can make excellent jogging companions! As a result of the terrain that Galgos were bred to hunt over they are extremely flexible and agile, and are much better on rough terrain than Greyhounds. Galgos are MORE ACTIVE than Greyhounds. They are also a little more physically hardy than Greyhounds - apparently their skin is slightly tougher and they tend to be more sound (less prone to lameness) on their feet. They do best with adopters who have a more active lifestyle (routine walkers/joggers/runners, hiking enthusiasts, and dog sport enthusiasts) It is a good general assumption that all Galgos can/will jump fences--therefore all Galgos should have at least a 6 foot fence or exercised on leash at all times. Galgos tend to be more tenacious than Greyhounds. You are probably asking what this means! A Galgo rescuer and wellness advocate, Petra Postma, articulated it like this: Greyhounds are 2 dimensional thinkers and Galgos are 3 dimensional thinkers. An example of this would be the track and lure system. Greyhounds run "straight" after the lure trying to catch it, and they maintain that course until the end of the race. Galgos might start after the lure, but if they are unable to catch it, they will begin to think of other ways to get the lure. That may mean trying to go over the rail, under the rail, or turn and approach it from the rear. 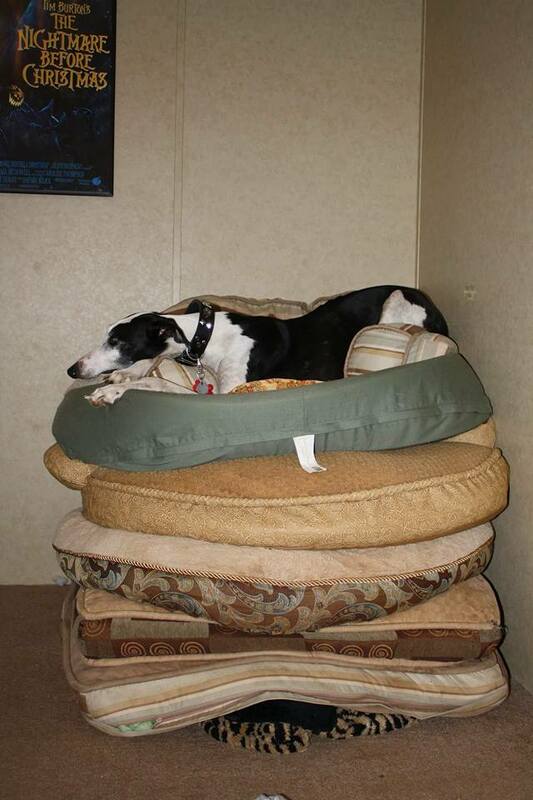 Galgos are thinkers, plotters, and problem solvers! Our wonderful Greyhounds are so easily corrected. A firm verbal correction will usually make a Greyhound feel as if the world has ended and that whatever behavior they were corrected for is NOT worth the trouble. A Galgo on the other hand will be put off "attempting" for the time being, but it just means that tomorrow they should try again from a different angle. 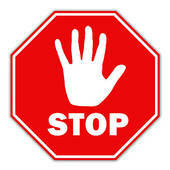 It often takes a little time to correct unwanted behaviors because of their ability to process and try different methods of doing something. Galgos also have incredible memories. They have the ability to remember where every interesting thing on their walks were located and will remember to look for those things, sometimes for years. This means that they can and will fall into routines very easily, whether you intended them to or not! This can make things like potty training relatively easy, but can complicate some other things. It means that as you get settled with your new dog, you have to think of all the little behaviors that you do or do not want long-term. Do you ALWAYS want to give your dog a treat when it comes in from outside? Because if you start that routine, your Galgo will always remember it and will insist on that payment. This also means that you should begin training your Galgo the MOMENT you pick it up! It is NOT better to give your dog space and time to acclimate, as it will then set it's own "routine" up. Begin as you mean to proceed! Everything about this life is new for your dog. They come from outdoor pack life with other animals, hearing only Spanish, a completely different climate and terrain, and rarely (if ever) feeling a loving touch. Your home, in theory, should be the complete opposite of their experience as a youth. Because of this contrast, the NUMBER ONE thing to remember is that no matter how comfortable your dog seems…it takes a full 6 months to a year for a dog to become completely acclimated to a new home. To be blessed with the wonderful relationship that should develop between you and your new family member, you must give yourself and your dog the time to get there. Approach this experience with the same knowledge and patience that you would dedicate to a 8 week old puppy. Greyhounds come to you kennel trained at the very least, if not fully potty trained. Your Galgo will have no such experience. The only time it has likely been in a crate was when it was flown overseas to join your family. Understand and expect your dog to have some accidents and be willing to forgive them for this. To start the potty training: potty your dog first thing upon waking, then every 2 - 2.5 hours throughout the day, and last thing before going to bed. Lengthen the time between potty breaks every few days until you reach the normal length of time your dogs will be expected to “hold it” during the day. For a happy, healthy dog this should take anywhere from 1.5 - 3 weeks, provided that you are being consistent with their training. This same logic applies to all other training, like: leash walking, crate training, muzzle training, etc. If you have any problems or questions about training your Galgo, please, please, PLEASE ask us for help! We want this process to be a success for everyone involved. Be careful not to leave windows open and doors ajar. Galgos are very inquisitive by nature and will grasp almost any opportunity to get out of their controlled environment and explore the countryside! They have been known to pull themselves out sideways through car windows that were left “cracked open” to regulate heat, so keep that in mind when traveling with your dog. If it is hot enough outside that leaving your car windows cracked open 2 inches isn't sufficient to keep the car cooled, then it is too hot for your Galgo to be hanging out in the car without you. This awareness also applies to leaving doors open, in both cars and homes! Always be aware of where your Galgo is before opening doors. This caution will be for the duration of their lives, not just during their adjustment period. You will be required to use a "spook" harness on your new Galgo for the first 6 months. After that, the need for a spook harness will depend on your individual dog. This is a safety precaution. With so much changing in their lives, your dog is bound to have a little melt down or two. 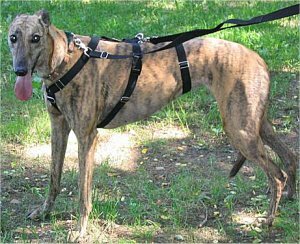 Because of their physical build they are even more likely than Greyhounds to slip free from a normal collar (including the martingales). Spook harnesses have an extra loop, which ensures that the dog cannot slip out of it. For those that have never seen or experienced a dog in an emotionally induced panic, here is a video with examples. This video is of an actual rescue, where a group was called in by the local law enforcers to remove 7-8 dogs from an unsafe facility. During a rescue situation, you will often find that the dogs are under socialized, fearful and stressed. In the video you will see that the rescuers have an important piece of equipment used in emergency situations called a "slip lead" (these are often found in vet clinics). They are essentially a leash that tightens, so as not to allow the animal to escape. Along with the possibility of panic, you also might have your dog simply freeze in place. Both of these responses are readily controlled, for the safety of you and your pet, by the "spook harness". These harnesses are much less stressful and also safer, both physically and mentally in a home situation. Please watch the video to ascertain what you MIGHT encounter with a galgo that is transitioning into a new life experience. 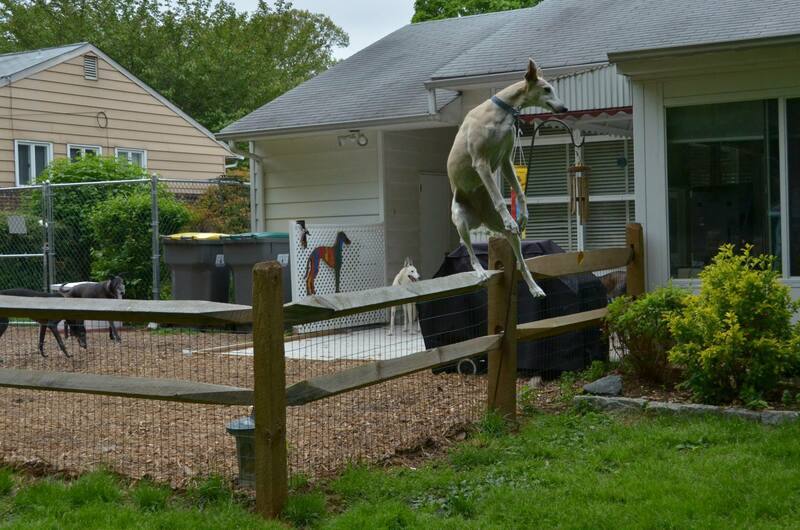 Your Galgo is never to be off leash outside of a properly secured area! These dogs run at similar speeds as our Greyhounds, and have the same kind of prey drive. One very big difference to note here is that Greyhounds typically compete for stuffed bunnies or some similar lure, but your new Galgo has been used for hunting live prey. Additionally, Galgos are proficient at survival – so if your dog gets loose, barring injury, it is quite capable of disappearing into the wilderness and living on its own for months…even years. More information will be added to this site as our experience with the Galgo develops. Please check out our other pages for additional insight.